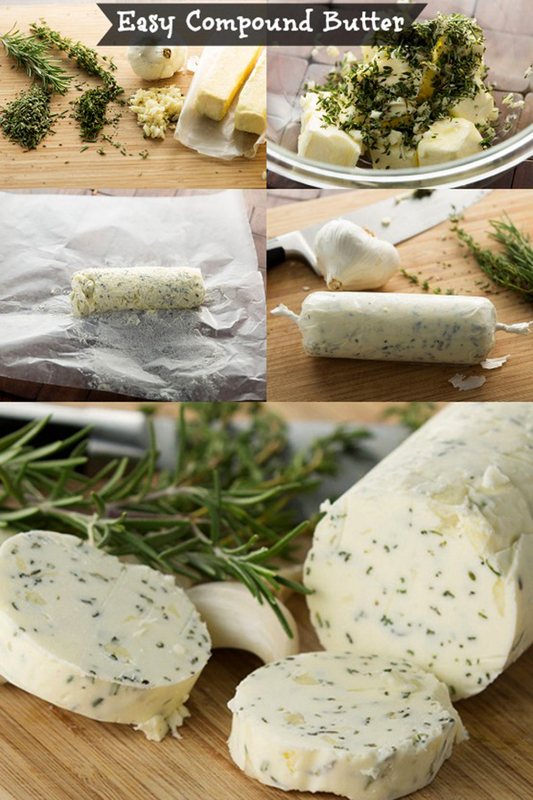 An easy compound butter recipe with garlic and herbs that is perfect for steak, corn, chicken, turkey, or for bread! This is my secret to making the most delicious recipes that everyone raves about! Do you mind if I let you in on a little secret? I think everyone that enjoys cooking as much as I do has a secret weapon ingredient that they turn to when they want to impress family and friends. My secret weapon? This easy compound butter. Compound. That word. It makes this recipe sound all complicated when really, compound butter is one of the easiest recipes that you can make to give a “wow” factor to just about anything! You can use this for steak, corn, even fish, or turkey! With Thanksgiving right around the corner, I thought it was a good time for me to share what I use to give my turkey the “wow” factor. This is it folks, compound butter. Compound butter is just a fancy way of saying that you add some ingredients to butter. When I’m making my turkey, I slice up the compound butter, then carefully lift up the skin on the breast of the turkey, and slide the butter under the skin. This does two things – first, it adds delicious flavor and seasonings to the meat, but it also helps the skin to crisp up and look absolutely beautiful! You will be amazed at what this does for your turkey! Buttery, moist, yum! Of course, turkey isn’t the only way I use this compound butter. I’ve also used it for steak, corn on the cob, chicken, and I’ve also slathered it on bread before toasting it in the oven. The result is always the same… amazing! 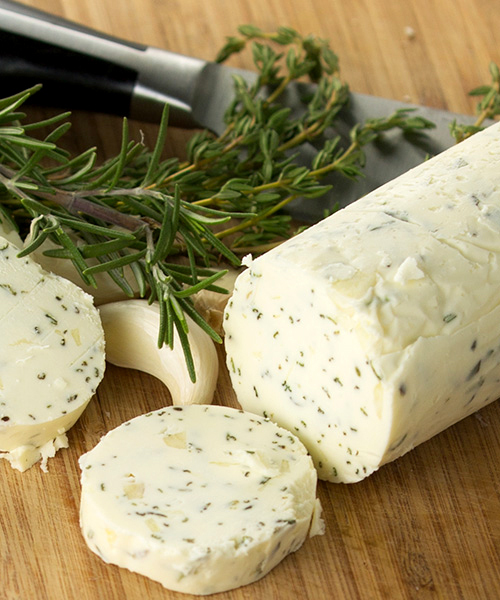 My compound butter is made with garlic, rosemary and thyme, but feel free to use any herbs that you’d like. And remember, start with butter that’s at room temperature! It’ll take you about 10 minutes to make this recipe, and trust me when I say it is well worth your time! 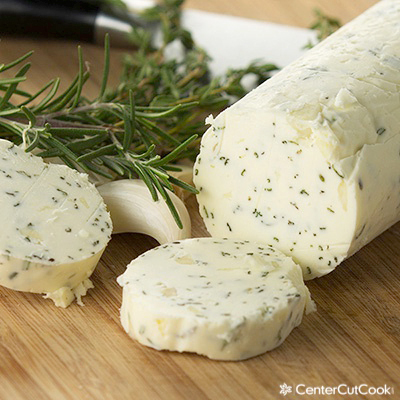 In a large bowl, combine butter, rosemary, thyme, and garlic. Use a spatula to combine all of the ingredients well. Scoop the mixture onto a sheet of wax or parchment paper. Roll into a log and twist the ends shut. Place in the refrigerator for 2 hours, or until the butter is firm. To use for turkey or chicken: carefully lift up the skin on the breast of the turkey and place slices of compound butter between the meat and the skin. To use for steak: place desired amount atop steaks right after they come off of the grill. Allow the butter to melt before serving. You can also use this on corn, other vegetables, and bread.